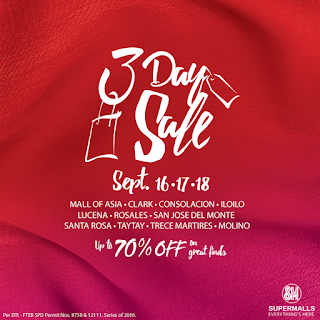 Are you ready for SM Malls - SM Taytay, SM San Jose del Monte, SM City Clark, SM Rosales, SM Sta. Rosa, SM Lucena, SM Trece Martires, SM Iloilo, SM Consolacion, and SM Molino 3-Day SALE on September 16-18, 2016? 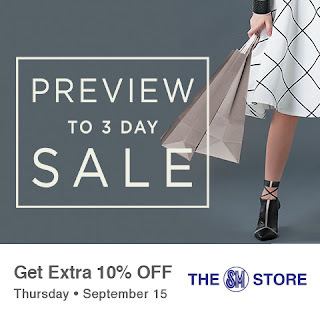 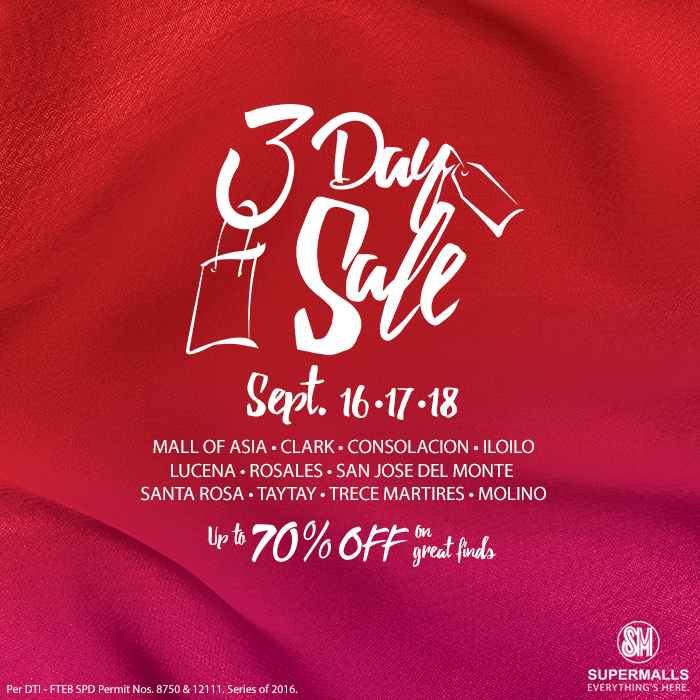 SM Mall of Asia's 5-day SALE starts on September 14! 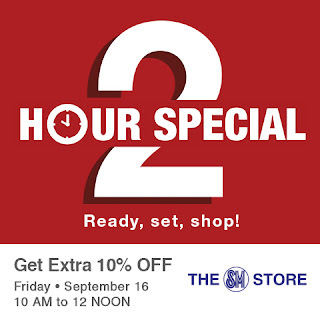 Advantage, and BDO Rewards members get extra 10% OFF during the 2-Hour Special on Friday, September 16, 2016 from 10 AM to 12 NOON when you shop at The SM Store and select SM Retail partners located at these participating SM Malls: SM Mall of Asia, SM Taytay, SM San Jose del Monte, SM City Clark, SM Rosales, SM Sta. 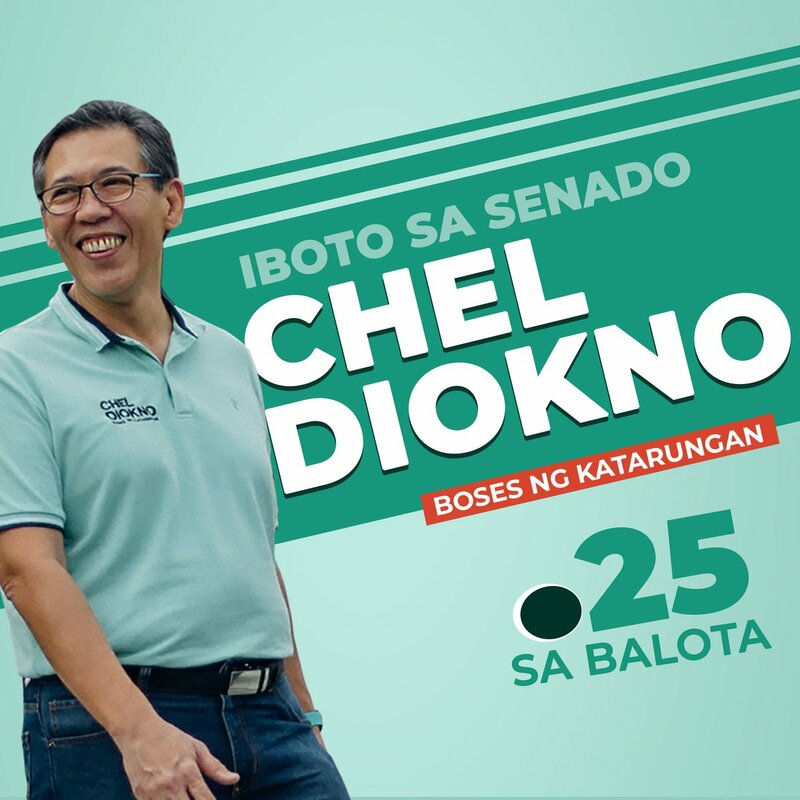 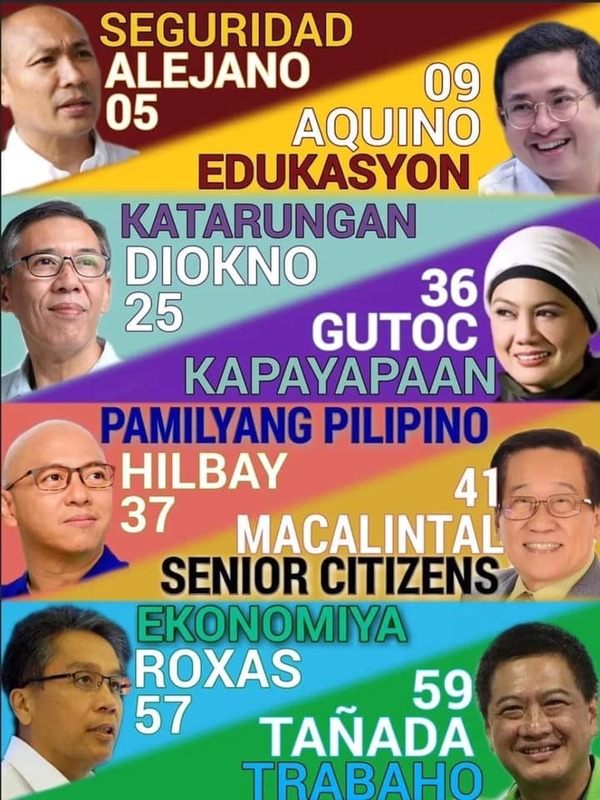 Rosa, SM Lucena, SM Trece Martires, SM Iloilo, SM Consolacion, and SM Molino.